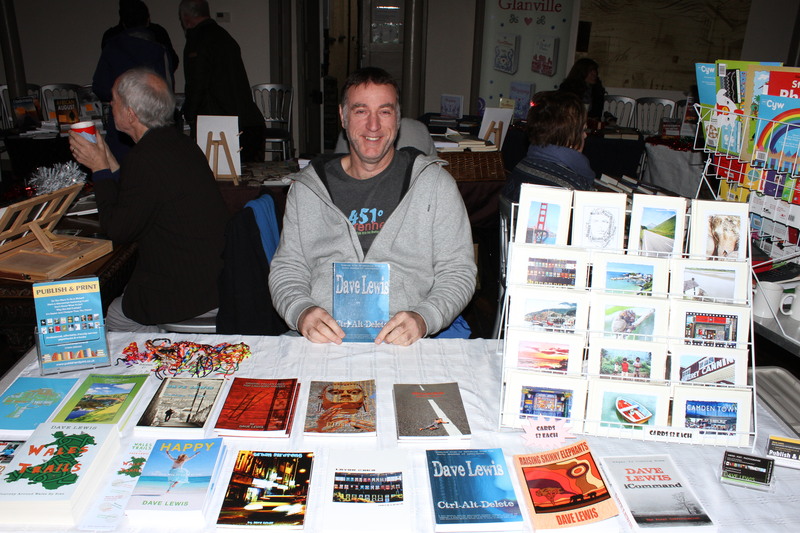 THE ANNUAL book fair returned to Llandeilo for the fourth year on Saturday (Dec 9). Organised by local author Christoph Fischer, the event attracted a wide range of local authors exhibiting their work and giving readings at several venues. Since moving to west Wales with his Welsh partner, Mr Fischer has been amazed at the abundance of literary talent on his doorstep. 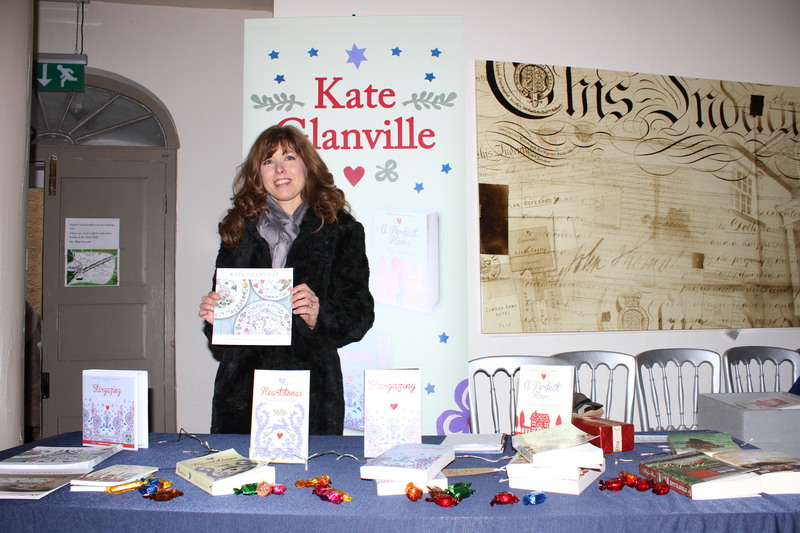 Over 30 local authors gathered in the Horeb Chapel and in the Shire Hall from 10:30 to 4pm to exhibit their latest books and 14 of them held workshops and readings in shops all over Llandeilo. “Although Llandeilo has the Red Cross Charity Book Shop, the town’s literary appetite is still unsatiated and demand for books and bookish events is high,” Mr Fischer explained. While the event is smaller than the April Lit Fest the Book Fair managed to capture its spirit by bringing the authors and their readings right into the heart of town. From Eve’s Toy Shop, Peppercorn KitchenWare through to Deb’ Wool, The Fountain Fine Art Gallery and The Flying Goose, shops invited the authors to read samples from their work. Other shops, such as In Stitches, Chess Men’s Wear, Pinc! Flowers and the Art Works Garden Centre had visits from the Llandeilo Book Fairy, who organised a book hunt through town, adding some excitement to the advent season with a festive treasure hunt. 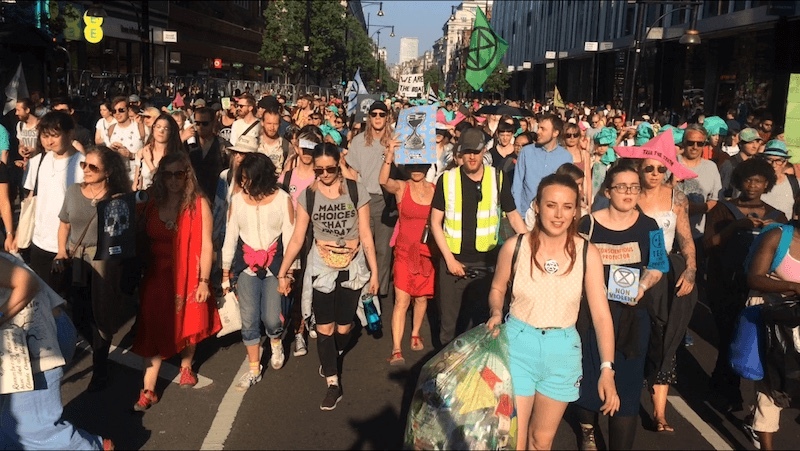 MANY people from west Wales made the journey to London over the past week to take part in the Extinction Rebellion climate change protests. Some had set off weeks earlier to walk their way to London, distributing leaflets as they went. A woman from Narberth was the last to be arrested at Oxford Circus, while another protester from Eglwyswrw was among those held the longest in custody. She had locked herself onto the pink boat that had become a symbol of the protests, and an angle grinder had to be used to remove her. The Extinction Rebellion movement is demanding the UK Government acknowledge the planet’s ecological emergency, have 0% net CO2 emissions by 2025, reverse policies inconsistent with addressing climate change and create a Citizens’ Assembly to oversee the changes required. The group started its protest on April 15, stopping traffic at Oxford Circus, Marble Arch, Waterloo Bridge and the area around Parliament Square. The Metropolitan Police said that as of Monday (Apr 22), 1,065 arrests had been made and 53 people charged in relation to the protests. Organisers have described the protests as the biggest civil disobedience event in recent British history. Late on Sunday, police had moved the last of the protesters from Waterloo Bridge after activists at Parliament Square and Oxford Street had been moved on earlier in the day. Another protest was held at the Natural History Museum, as activists lay down underneath the blue whale skeleton to raise awareness of the mass extinction of species. Extinction Rebellion is holding a public meeting to decide its next course of action. 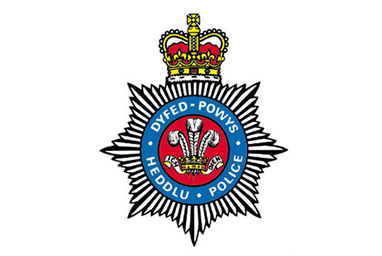 DYFED Powys Police Commissioner Dafydd Llywelyn will be pressed on what he is doing to tackle drug related crime at the next meeting of the Dyfed Powys Police and Crime Panel. Panel members, representing the four local authorities in the force area, are keen to hear from the Commissioner following growing concern about County Lines and drug abuse in many of the area’s main towns. The Panel, which has a duty to hold the Commissioner to account, will also be asking for assurances about fraud and cyber crime. Members have significant concerns about these issues and are keen to explore the Commissioner’s response to them on behalf of residents in the Dyfed Powys area. The meeting will be held at Pembrokeshire’s County Hall from 10.30am on Friday, April 26, and is open to members of the public and press. Proceedings will also be webcast, with an archive of the meeting available online. Later in the meeting, the Panel will present its annual report. Cllr Alun Lloyd Jones, who chairs the Panel, said: “Drug related crime, as well as fraud and cyber crime, are two main areas of concern for the Panel and we will be pleased of the opportunity to question the Commissioner about the plans he has in place to deal with such issues. “We have heard so much through the media in recent weeks about the rise of so-called County Lines activity, and we know this is a worry to many people who we represent. 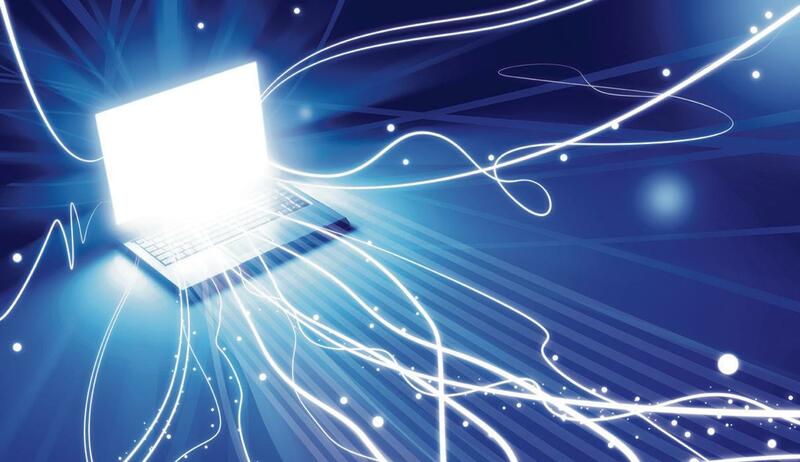 COMMUNITIES in Carmarthenshire and across Wales can come together to make a bid for the Gigabit Broadband Voucher Scheme which can provide ultrafast broadband for homes and businesses. The scheme, which is managed by the UK Government, has been given the boost of a top-up in Wales with the Welsh Government providing more funding to take into account the particular challenges caused by the country’s topography. Ministers from both governments are now urging Welsh businesses and communities to apply as a group for the funding to get gigabit capable broadband. The group must include at least one business along with surrounding premises. Two or more businesses can get together, or businesses with residents, to combine their vouchers towards the cost of building the infrastructure. Up to ten residents can get together with one business to create a group or community project. Under the arrangements for Wales, the Welsh Government will provide an additional £3,000 for businesses up to a certain size and an additional £300 per residential property. This means that for group projects in Wales up to £5,500 is available per business, compared with £2,500 elsewhere in the UK. Up to £800 will now be available per residential property in Wales, compared with £500 elsewhere. Deputy Minister for Economy Lee Waters said: “While the vast majority of premises in Wales can access superfast broadband, we know we must reach the final five per cent. There is no one size fits all solution to do this, and the Gigabit Voucher Scheme is an important part of our efforts to do this. UK Government Minister for Wales Kevin Foster said: “Improved digital connections for homes and businesses is a central part of our modern Industrial Strategy which invests in skills, industries and infrastructure to build a Britain that’s fit for the future. The Welsh and UK Government funded £200m Superfast Cymru programme has already taken superfast broadband speeds to more than 733,000 Welsh homes and businesses commercial companies had no plans to cover.